When a friend admired it and wanted to purchase some for gifts, I thanked her for an idea I hadn’t even considered, though once she mentioned it the idea was a natural. In fact, I had such an enthusiastic response to it on all accounts that I decided to offer it for sale. 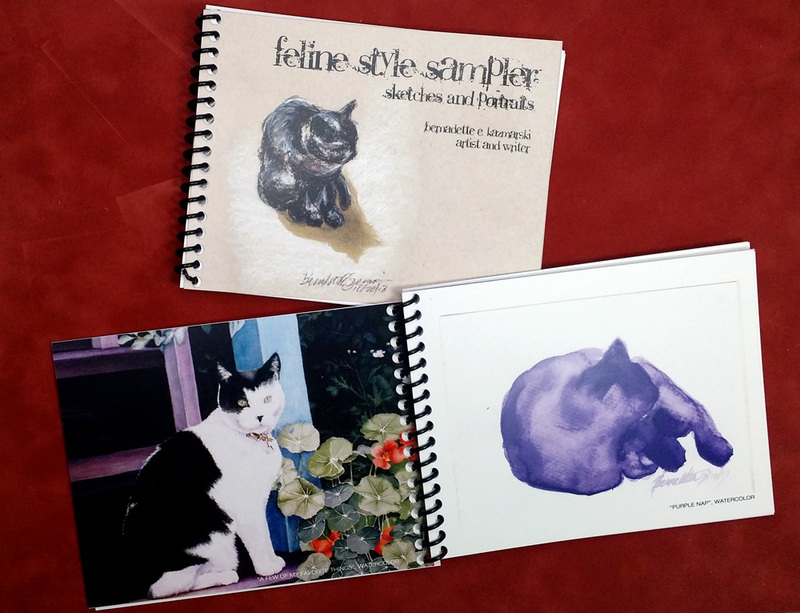 The award-winning* Feline Style Sampler is simply a collection of 34 images, no text or narrative, though each image has the name and medium of the image inconspicuously added at the bottom of the page. The book is little, only 4.25″ x 5.5″, and coil bound. All pages are printed on 100# gloss cover rather than text weight stock to stand up to handling and to ensure opacity. Winner of a 2014 Certificate of Excellence by the Cat Writers’ Association. 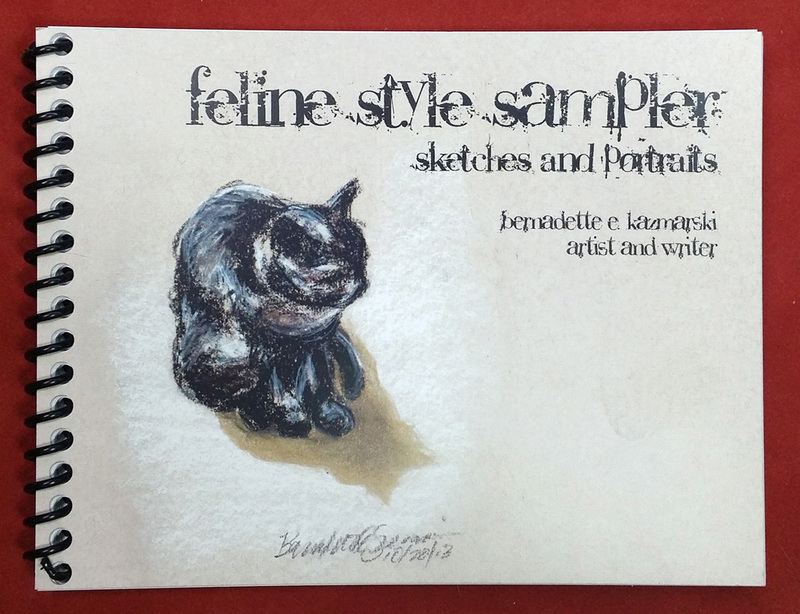 This entry was posted in book, cat artwork, cat merchandise, feline artwork and tagged animal artwork, book, book of cat artwork, cat art, cat artwork, cat gift items, cat merchandise, cat sketches, cats, feline artwork on August 17, 2016 by Bernadette.